Born on May 25, 1803 to William Emerson and his wife, Ruth Haskins Emerson, Ralph Waldo Emerson grew up in Boston, Massachusetts. When Emerson was just eight years old, his father passed away; leaving his mother to take care of five sons with very little income. Despite the financial hardships, Ruth managed to keep her family intact and in 1812, Emerson enrolled in the Boston Latin School. From there, he was accepted into Harvard and graduated in 1821. After graduation, Emerson worked as a schoolteacher to support his family while deciding on a career for himself. Shortly before turning twenty-one, Emerson dedicated himself to the Church. At age twenty-five, Emerson was appointed as a junior pastor and granted full responsibility of the Second Church in Boston. Within his time serving the Unitarian ministry (1829-1832), Emerson married Ellen Tucker. Their marriage was tragically cut short when Ellen died of tuberculosis in 1831. Shortly thereafter, Emerson ventured out to Europe to embark on a journey of world exploration and self restoration. After returning to Boston, Emerson found himself drawn to the growing field of adult education. There, he was able to utilize his writing and preaching skills to reach a wider audience. In 1834, Emerson transitioned from the city over to his family’s ancestral home in Concord. Soon after, he met Lydia Jackson from Plymouth and they married. Together, they had four children: Waldo, Ellen, Edith, and Edward. In spring 1836, Emerson focused his attention on creating work for print, rather than solely lecture halls. Throughout the years, Emerson created a collection of essays and lectures, and lecture series. 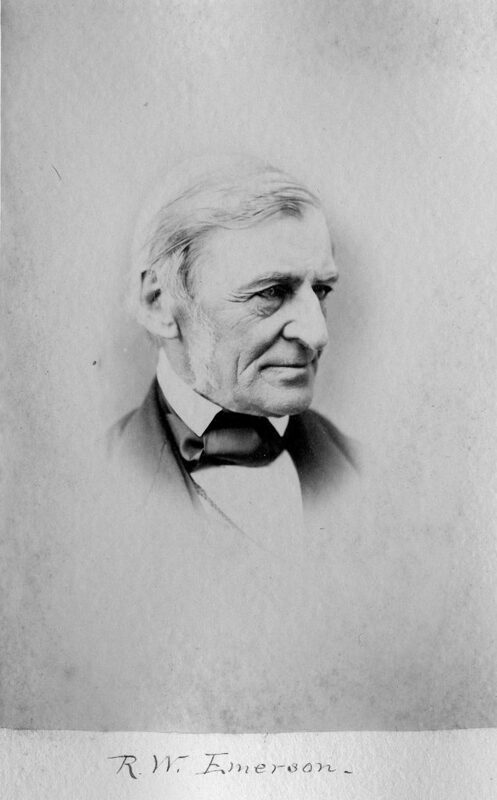 Some of his most well known pieces include Nature, “The American Scholar,” “Self Reliance,” “The Transcendentalist” and “The Poet.” While his work was considered by some to be controversial and radical, others praised Emerson’s unique insight and expressive ideas. Emerson was also a pioneer in the Transcendental movement, and served as a mentor to Henry David Thoreau. After a period of progressive health decline, Emerson died on April 27, 1882. He is buried in Concord, at the Sleepy Hollow Cemetery.